Many of you may know that I have been put to work on the dog brands right away, after starting at Ideas at Kick about 9 months ago. That includes launching a brand new dog toy! I’m the main account manager on a new division of the largest privately owned company, whom acquired a bone and chew operation. My weeks have been filled with plant tours, packaging meetings and coordination and lots of discovery and business strategy for new and existing brands. Website launches, sales tools introduced, trade shows engagement, social experimentation, innovative packaging and displays have been checked off the list and we continue to engineer to boost new and existing brands. I have also been part of the planning process of several dog food brands that Kick has worked on over the last 3 years. 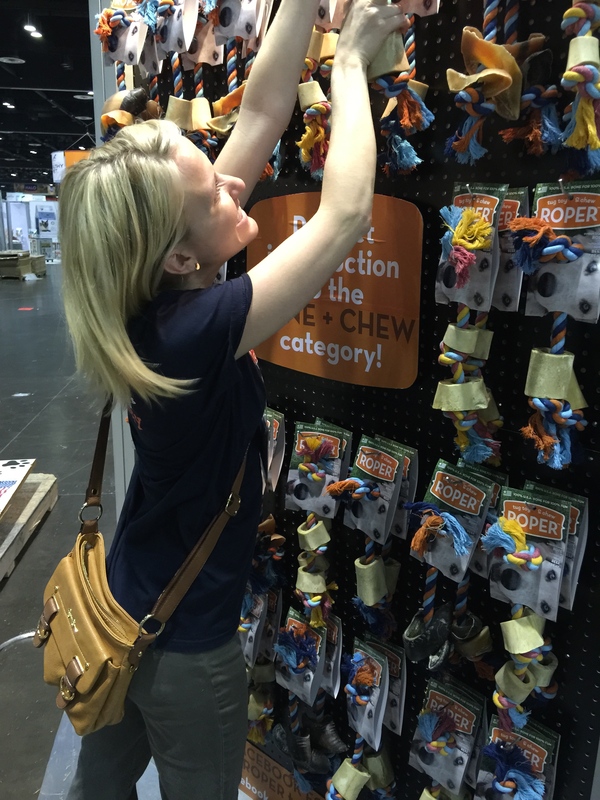 Earlier this month, I attended the worldwide tradeshow Global Pet Expo in Orlando, Florida. This was the second trade show I went to educate myself and represent Kick within the huge pet market. I asked hard questions to sales members, owners and trade workers. 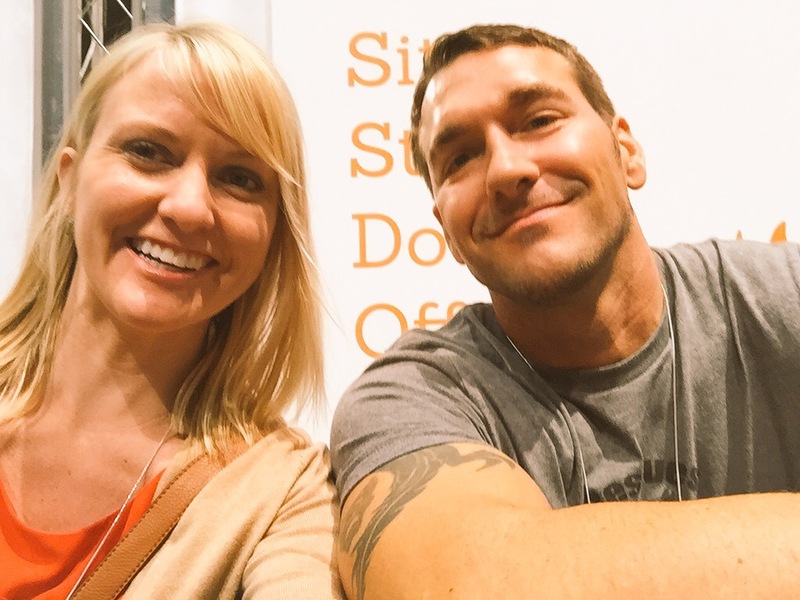 I experienced and walked into buyer-only areas to really under the entire trade process. 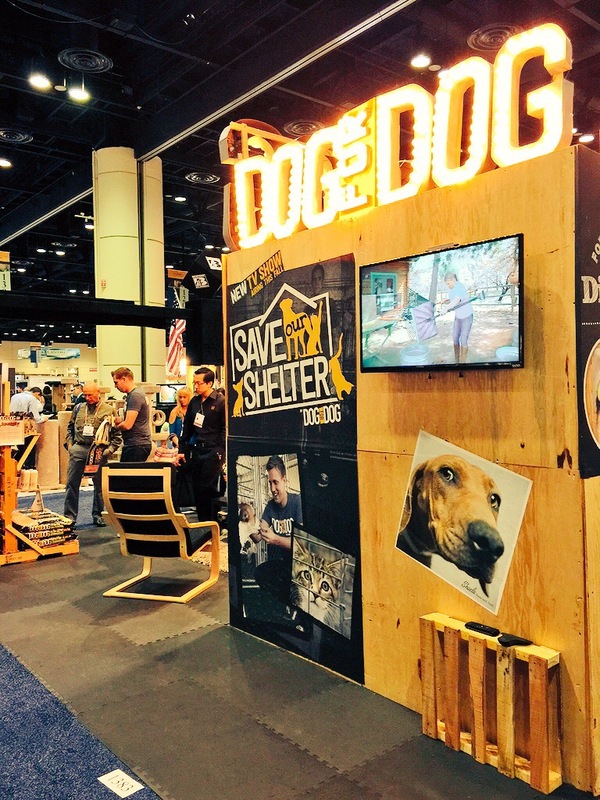 It’s not just about the dog food and dog treats, but lifestyle brands such as beds, couch-protectors, pet houses, clothes, collars and more are making waves. Can I mention that I actually met the STAR of CBS dream team mornings Lucky Dog? There are people that invent things and they are passionate about their solution—it is exciting and also sometimes intimidating the competition. The packaging really matters in this industry and knowing the American-made facts. American-Made / American-Processed / USA-certified / USA-certified… all can mean different things. Just because it has a flag-on-it, doesn’t mean it is good for your pup. Watch for the small labels on the back of the product, then ask the hard questions about where the animals are raised and where the processing plant actually is in the US if talking to your local retailer or even at a trade show. Lucky for me, the companies I work with daily do it right and they are 100% sourced in USA and their plants are in America. That’s truly an easy sell—then just need to make that packaging be a Shelf Kicker(TM) and the sales team can help us own the aisles. 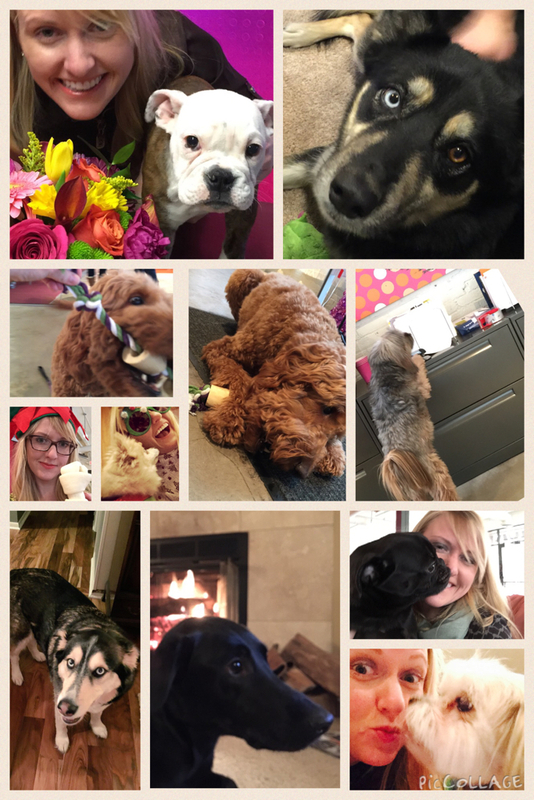 I get to be surrounded daily by dog treats, bones and food all day long—even dogs come in to play several times a week! When I eat at my desk, I have to be careful not to grab a back strap or pig ear piece…. (for real). Stay tuned for more dog-gone updates and strategy, meanwhile if your product, agency or company is needing a kick in the ———— look up Ideas that Kick. 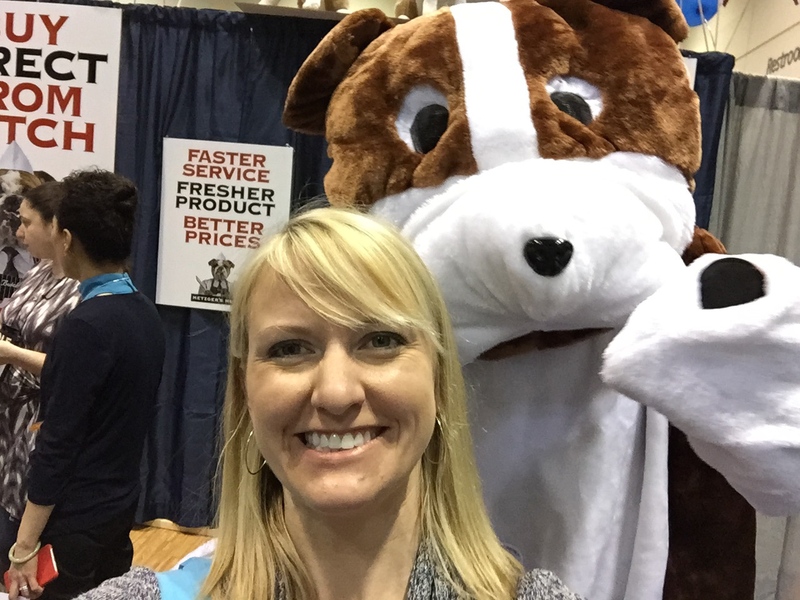 This entry was posted in inspiration and tagged account strategy, Career, dogs, trade show by mndesigngal. Bookmark the permalink.